Enjoy the comfort and support of a high quality, high density V50 super kingsize memory foam mattress.Overall depth 20cm. 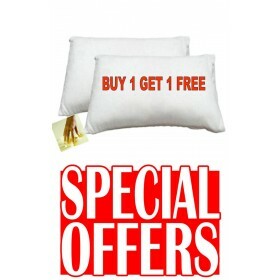 Memory foam layer 5cm.In Stock For FREE Express Delivery. 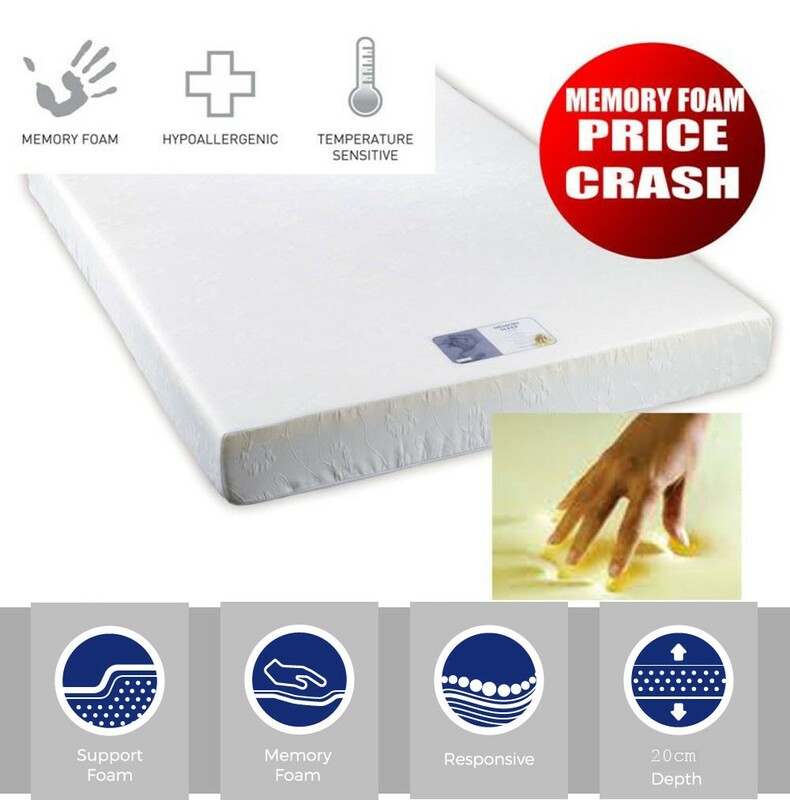 "Best price ever for this high specification memory foam mattress.5cm memory foam layer above 15cm support foam layer gives the ultimate in support and comfort. All this at an unbelievably low price." 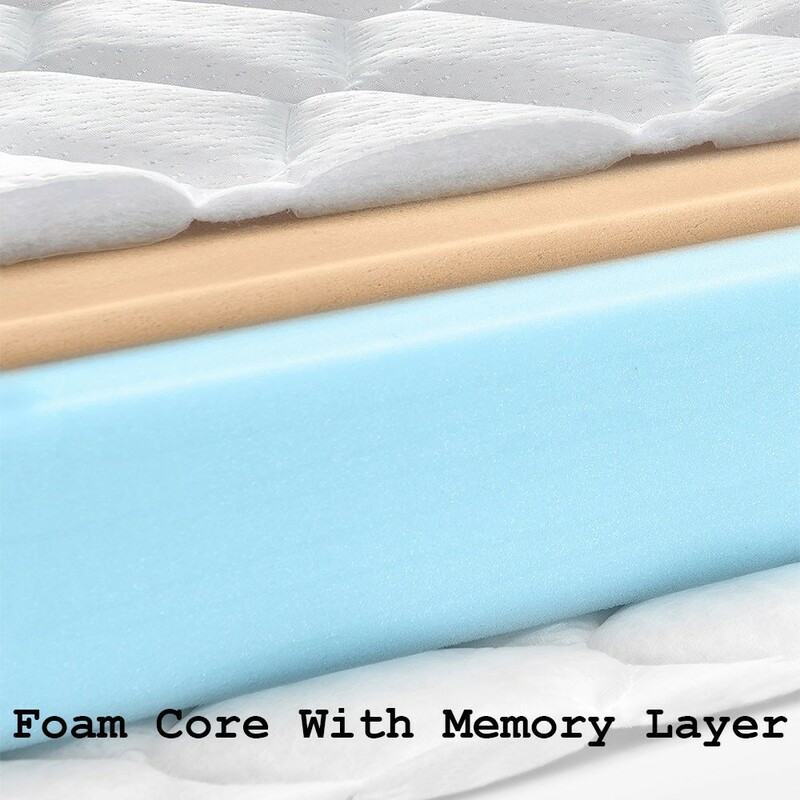 5cm high density V50 visco elastic memory foam layer. 15 cm support foam layer.